Dr. John Weston earned his dental degree in 1989, graduating as one of the top five in his class. While a commissioned officer in the US Navy, he completed a general practice residency at Balboa Naval Hospital San Diego, and served two years independent duty aboard a US Navy Warship in support of Desert Storm. Dr. Weston is the only dentist in La Jolla and one of less than 100 worldwide to earn the rigorous credential of “Accredited Fellow” through the American Board of Cosmetic Dentistry; it is considered the highest level of certification for the field. 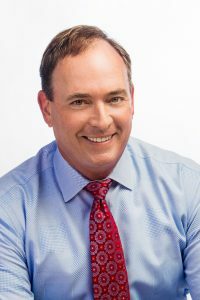 As a strong advocate of continuing education, he regularly lectures, publishes articles, and teaches hands-on courses to other dentists on all aspects of cosmetic dentistry on a local and international level. He has also served two terms as a chairman of the Professional Education Committee for the AACD’s annual Scientific Session. Dr. Weston is a member of Omicron Kappa Upsilon Dental Honor Society, the American Academy of Cosmetic Dentistry, the American Dental Association, the California Dental Association, and the San Diego County Dental Society. In addition to being a fellow of the American Academy of Cosmetic Dentistry, he also holds an elected position to the American Board of Cosmetic Dentistry, where he serves as fellowship and accreditation examiner. He has been practicing in the La Jolla area since 1989 with a focus in cosmetic smile design using non-metal restorations. I have lived in about 15 states and countries over the course of my life and received dental care in each. I can say without hesitation that Scripps Center For Dental Care offers the best dental care I’ve ever received. Dr. Weston is the most competent, informed and gentle dentist I know. He is also a leader in his field, as evidenced by his work as an accrediting member of his association. Dr. Weston’s team is also exceptional; from dental hygienists to administrators. They are kind, caring and dedicated to their work. There is a focus on integrity in this practice that is apparent from the moment you walk in. I’m fortunate to live in San Diego and receive such outstanding care. The American Academy of Cosmetic Dentistry, the AACD, is a world-renowned organization known for its focus on excellence in dentistry. The association promotes continuing education, strict ethical standards, and superior patient care. To become a credentialed member requires a dentist to demonstrate his or her proficiency within a wide range of subjects. As an Accredited Fellow of the AACD, Dr. Weston has achieved the highest level of recognition within the organization. He joins a group of only 80 clinicians worldwide to achieve this challenging academic and clinical recognition. Dr. Weston is an avid sportsman who enjoys kiteboarding, surfing, snowboarding, wakeboarding, boating, and scuba diving. What was your inspiration for becoming a cosmetic dentist? I’ve had an artistic side to my personality since I was a kid. I’ve always enjoyed art, drawing, and painting, etc., so it’s a natural fit that I enjoy the creativity and the value that appearance-related dental procedures create for patients. I am also very “project oriented” and really enjoy completing difficult cases and doing them better than anyone else can. Many patient cases we do can be a challenge but also very rewarding and fun a the same time! What is your favorite part about being a cosmetic dentist? I think the “wow” factor is always great and this is one of my favorite parts of the process. The first time a patient sees their new smile we have created for them is always a special moment and often coincides with great emotions for the patient and the doctor. Having a new smile is something many of the patients have always wanted, and for them to see it finally in their mouth is sometimes overwhelming in a positive way. We are not just changing smiles, but often we are changing lives for the patients we treat. What sets you apart from other cosmetic dentists? I feel I am able to connect with patients on a personal as well as a professional level. I get along easily with a lot of different personalities and work very hard to understand and breakdown my patients top concerns, desires, and goals. I have also worked very hard to become as proficient as possible in the field of cosmetic and reconstructive dentistry by earning “Fellowship” in the American Academy of Cosmetic Dentistry. This is a very challenging credential held by fewer than 80 clinicians worldwide. In addition, our practice uses the very highest quality materials, techniques, and laboratories available all in a modern, convenient multispecialty practice located in La Jolla, California at the Scripps Memorial Hospital Campus. Are there any accomplishments or patient cases you are particularly proud of? I am proud of all my cases and each one is special and different at the same time. I am particularly proud of the ones that have been published in peer reviewed journals. Currently, I have over 25 published articles about cosmetic procedures in dental journals worldwide. I am also proud of the 50 passed clinical cases I submitted for my Fellowship credential. It’s a “Body of Work” that really represents the pinnacle of my skills and career in appearance-related dentistry and is an example of what I do on a daily basis for my patients. Many of these cases can be seen on our website smile gallery. 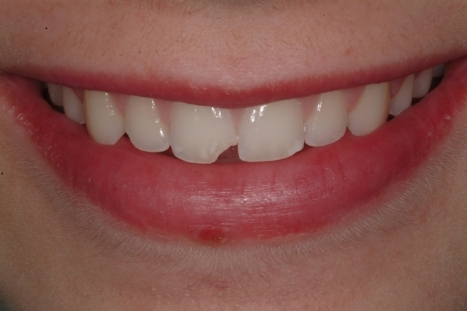 Do you have a favorite cosmetic dentistry technique? 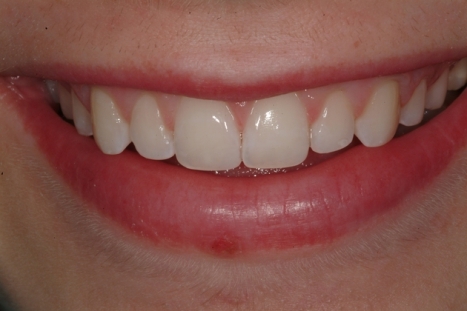 My favorite procedure is complete smile design in conjunction with conservative porcelain veneers. The results you can achieve are truly amazing and often can be accomplished with little to no grinding on the teeth at all. Our goal is always to conserve as much tooth structure as possible for all our patients. We can improve the shape, color, position, and chewing ability of the teeth while making them look naturally white and brand new like the day they erupted. The best smiles we make are the ones that look “natural” and healthy. We never do the Hollywood white “chicklet” teeth unless a patient specifically asks for that, as we enjoy the art of creating dental transformations that blend seamlessly with the patient’s other teeth and with their face overall. We use a process call Digital Smile Design where we can analyze a patient’s teeth and smile to determine the best shape and length of teeth for their face. We can then do a physical “Smile Trial” in their mouth so the patient can see what the planned results will look like. This technique makes sure the patient is totally in agreement with what we are doing and there are no surprises. What are you most excited about in regards to the future of cosmetic dentistry? I am most excited about the digital revolution and how it’s affecting every aspect of what we do on a daily basis—from digital design to digital impressions to digital fabrication of the restorations. The future is here, and we are using these technologies every day. It’s only going to get better, faster, and more predictable. Digital tools and technology offer a higher level of satisfaction for the patients and the doctors and definitely is the direction everything is heading in the future! We are proud to offer an all digital solution for our patients who need new crowns, implants and bridges, as well as smile design cases and veneers!